Marvin Austin never quite lived up to his second-round pick status and fizzled out in Denver. 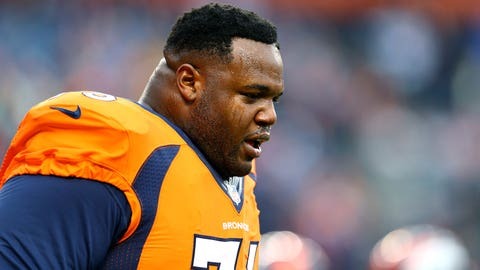 The Broncos bid farewell to a big-bodied defensive tackle on Tuesday. The team announced it parted ways with Marvin Austin just two months after he landed on injured reserve. The Broncos added the former second-round pick out of North Carolina in 2014. He finished with 12 tackles in 15 games after a back injury the year prior nearly ended his career. But he was expendable due to the emergence of rookie defensive tackle Darius Kilgo. So the Broncos placed Austin on I.R. to make room for other players. They decided his reserve spot might best be used elsewhere, though.